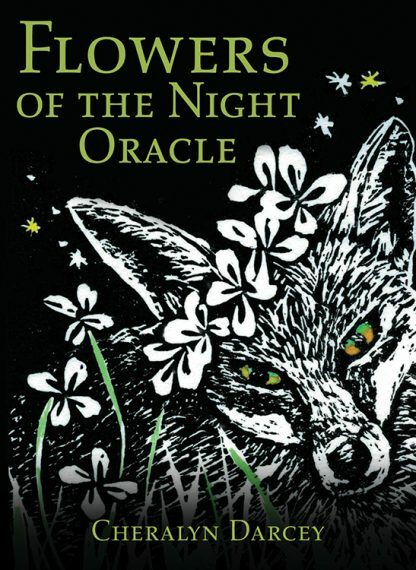 Come into the enchanting Garden of the Night and explore your power and passion with this dedicated oracle of 44 cards and guidebook. Nature author and environmental artist, Cheralyn Darcey, shares the true language of flowers with this oracle, which can also be used in any modality using flowers including aromatherapy, flower essences and flower reading. Cheralyn created the artwork for these 44 cards using traditional hand-carved block prints enhanced by moonlight washes of watercolor paint. Each card depicts a flower in its original environment and is coupled with the animals, insects, and birds of the flower�s nocturnal habitat.